For individuals that are excited to have a extensive holiday experience in Mykonos they should also consider the Bohemian style party celebration at Scorpios Mykonos. Now, you might be wondering what is Scorpios Mykonos? It is the celebration of the Bohemian traditions along with a mix of Greek lifestyle. It is the most vivid and outstanding place situated at the heart of the island of Mykonos. With the alluring architecture consisting of white stone buildings, which offer more than just parties, it is a harmony between the outstanding Greek decor with beautiful nature and the celebration of this phenomenon brings about peace and inner warmth. It is a place where you can relax, meditate and enjoy the old cultural traditions with a sensual connection with the Myconian wild nature. When the sun sets, it is time to have a good laugh with friends and then go wild and party until after midnight. 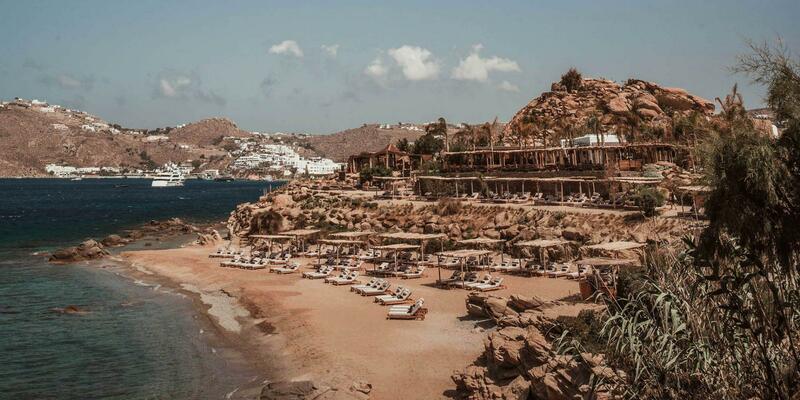 If you are looking to enjoy your time and make the most of the dazzling sunshine and sandy beaches of Scorpios Mykonos, then you will have to reserve sunbeds and lunch tables through us, The Ace VIP. If you are looking to maximize your nightlife experience, then you will have to reserve a party table and dinner table via The Ace VIP. A lunch/dinner table reservation will provide you with access to Scorpios, allowing you to have fun and enjoy the various features of the restaurant as well as the dance floor during the parties. You can relax, meditate and eat like a king, but you will have to mingle with the crowd like a normal visitor, thus depriving you of your privacy. The VIP reservations at Scorpios are a game changer. You will be able to enjoy your party to the fullest by personalizing your experience for you and your friends. You will have your own designated table area, a couch and chairs for seating, premium bottles, food and all the people that you want around you. Reservations can be made for Scorpios Sunset Area, Scorpios Beach & Sunbeds, Scorpios Restaurant for lunch or dinner and Scorpios VIP Party area. As far as the party life at Scorpios Mykonos is concerned, you will not experience more intense or dazzling parties elsewhere. 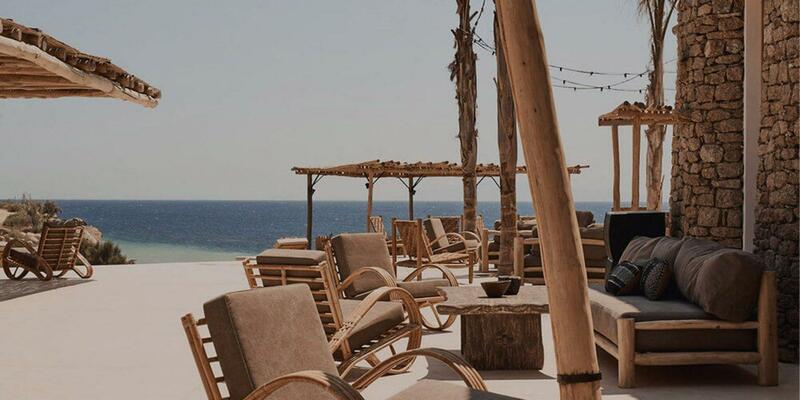 Scorpios Mykonos beach club offers you a view of the sea that will nurture and fulfill your spirit. The beach offers a variety of surprising elements to the visitors especially interested in across the sea under the sun party-spirited individuals. Whether it is a simple gathering of friends, couple holidays or a pure mind for meditation around the calm sea and lemony sand, the beach offers it all. There are present the most humbly created sunbeds and various other stands to let the sunbath begin around 5 in the evening. The beach also offers the most comprehensive and architecturally unique terrace for the crazy nature lovers to experience it all, the cool and misty sun breeze and the sweet smell of the sea kissing their cheeks with great passion. The party ritual starts around 6 in the morning after the tourists have welcomed themselves with passionate sunbath, there begin the dancing and music to ignite the nocturnal fun of Mykonos Island. Mykonos is a labyrinth with lots of ins and outs and various ways to get to a specific spot, making it truly amazing. Scorpios Mykonos is located in Paraga 84600 Mykonos. But instead of heading there on your own, you should definitely use available gadgets such as GPS and Google Maps; only these can help you locate your way around Mykonos. People in Mykonos are friendly, they offer their hospitality and help in any way possible, but you still have to be prepared to face every situation in finding the right address. Start from the airport or downtown and check for road signs pointing towards the Paraga beach as your general destination and you will be able to find this amazing place. You will find this place to be rich in culture and not only any other but the Bohemian culture and traditions, they are prominent not only in the style of dressing but also as a whole depiction of life in the Myconian community. The style of dressing is considered to be the most prime feature of all, and that is why a Bohemian Dress code is encouraged. 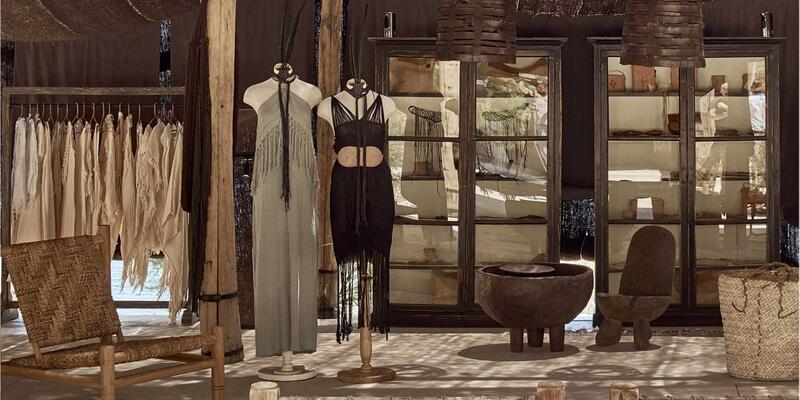 The most famous Scorpios Mykonos Dress code is the CARAVANA dress. This dress is considered most sensual for day wear like on the beach. This brand preserves the hand craftsmanship as the traditional epilogue to the Greek culture and now the Bohemian society as well. Using traditional knitting and embroidery techniques from Mexico, these dresses are prepared especially for women while some aspiring sample work for men is also present. The collection is versatile and prepared using natural fibers and traditional leather which develops its tune over time. This brand offers the versatility as well as a uniqueness among the jewelry-based temptation for men by displaying the natural craft developed into a perfect jewelry item through the tiresome efforts of the local workers. Various hollowed personalities have also been spotted wearing these jewelry items. There is a lot more to do at Scorpios Mykonos than laying on the beach, sunbathing or partying. 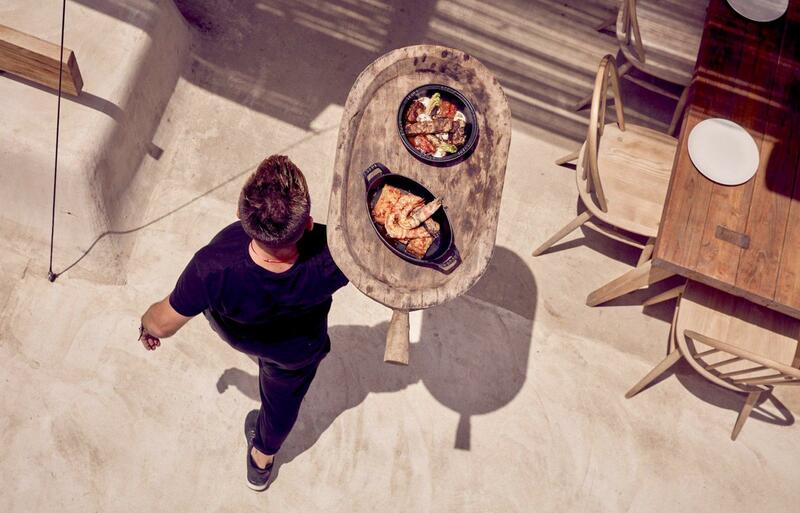 Another excellent and compelling factor in this regard is the cuisine offered by Chef Alexis Zopas, a nationally acclaimed chef who is the head of the kitchen and dining at Scorpios Mykonos. The opening time for Scorpios Mykonos Restaurant is from noon until 1:00 AM in the night. All dishes on the menu are available to eat and dine in. Enjoy the most luxurious, Greek dining experience, which compliments the sea and beach life at Scorpios Mykonos. If you are a fan of the Mediterranean and Continental cuisines then this restaurant should be your first choice because it offers the same experience with a Greek touch. You will find excellent food at Scorpios, which compliments the beach and the sea.Special dishes on the menu with special sauces and mouth-filling tasty features will amaze you to the fullest. There is more apart from the food and tasty dishes. You get to enjoy the creative cocktail drinks, and complimentary dessert treats,which accompany the whole offer. The price is higher than average given the excellent services and dining experience at Scorpios Mykonos. Whether you are with your friends, alone, or traveling with family, each case will be treated accordingly and staff at the restaurant can make your stay at the club and restaurant a truly amazing experience. 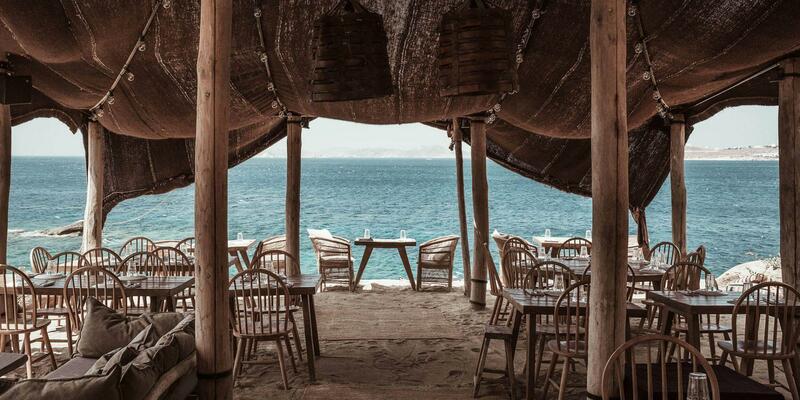 Enjoy the most diverse dining experience, a great variety of food and a natural scene by the sea. Scorpios also has its own helipad to enable the extravagant to make a spectacular appearance and entry into the club. 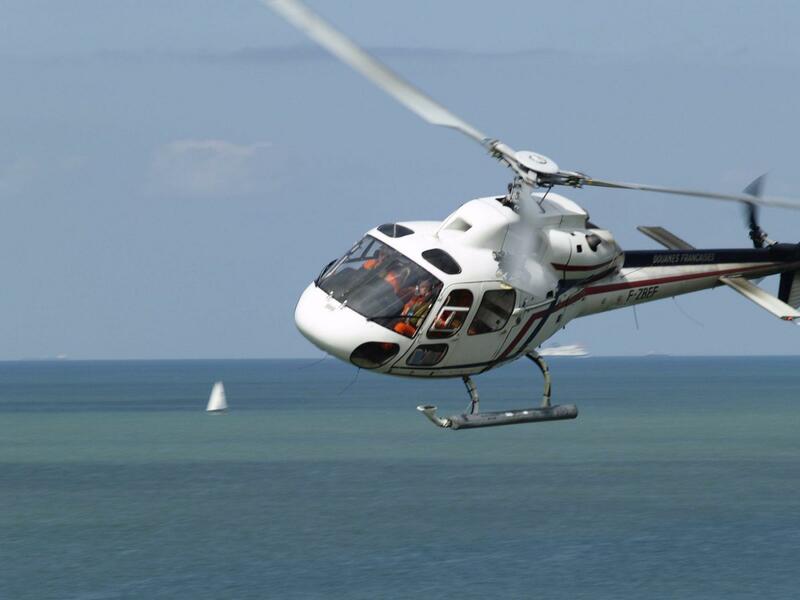 The Scorpios Helipad can be used for drop-ins and departures. The only disadvantage of this helipad pertains to luggage and that is because the helipad is more than 100 meters away from the closest car parking. Urgent health situations should be a primary concern for everyone. It is the responsibility of the host to provide you the necessary options in case of any health-related emergencies. Keeping that in mind, the Scorpios Helipad can be used for any urgent health needs. Although, general health facilities are also present, in case of emergency situations the Helipad service can accompany a patient on the helicopter to be transported to a secure treatment facility in Athens where a General Hospital can attend to the diverse needs of the patient in a more practical way. Scorpios jetty for small boats offers a simple solution for customers that need transportation to their yacht. You can hire these jetties to anchor your small boats and they are also helpful for preparing before setting off on a strange journey on the ocean. Scorpios Mykonos is an amazing place to be while you are in Mykonos and enjoying the experience close to the nature in itself is fulfilling and beautiful as well. Visit Scorpios Mykonos and enjoy the most fulfilling holiday of your life.